You will agree that it is not very convenient to show presentations to the public if you do not have the remote from of the electronic board. It is necessary to stand near the keyboard of the laptop to switch slides. At the same time, you find yourself limited in actions because you are “glued” to one place. We found a way out of this situation. 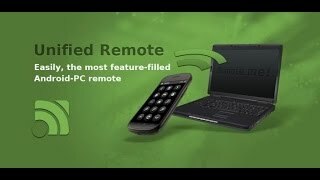 There is a Presentation Remote program for Android that works via Bluetooth (also, it supports Wi-Fi connections), about which we will talk below. There are many different applications to control the presentations, and they all have roughly the same functionality. We stayed on a very simple program that is called Presentation Remote. It is distributed for free in the Google Play and it is easy to operate. The program turns your smartphone into a remote control for presentations and supports most well-known applications, such as PowerPoint, Google slides, Adobe Reader, LibreOffice, Prezi, OpenOffice, which will undoubtedly benefit the business. Some words about the functionality. The application can only scroll through the slides backwards and forwards, but we think that is enough. Because, basically, you will not need anything else during the report. The excess functionality can only complicate the search and recognition of buttons and their functions, because during the report, you have to do everything quickly and you should not be distracted by technical problems. In addition, when using this program, you will not be distracted by your phone. To scroll through the slides, you can use the volume rocker or make swipes across the display. Operating principle of the program is similar to the PC remote control. It works by using a server application that is installed on your computer, and a client that will be installed on Download and install the server on your PC your phone. Download and install the server on your PC. Run the RemoteServer on the PC, on which the presentation will be opened. Enable the Bluetooth on the PC. Download the mobile client to the phone and run it. If you will use the Bluetooth connection, select «Bluetooth». In the list of the devices, click the name of the computer. Select the last item «Thanks, no timer this time», because we are going to switch slides manually. Left and right swipe on the display. If you are afraid to touch the display accidentally, which can switch the pages, you can use the mechanical volume buttons «+» and «-», they also serve to change the page. Smartphone with the program acts as a remote control, the slides will not be shown on the display. You will see the slides on the screen or the projector, depending on what option you have chosen. If suddenly this functionality is not enough for you, we can recommend more functional but less versatile application that is called Office Remote. This program only works with Office 2013, but it is able to work with documents such as Excel, Word и Power Point. We will now talk about how to work with them. Make sure that the Bluetooth is enabled on your phone and computer. Install the Windows application on your PC. On your phone, download and open the program for Android. In the next window, also press «Next», because we have already configured the Bluetooth earlier. On the phone, press «Next». Choose the name of the PC. After a successful connection, you will see the list of launched documents on your PC. Select the document with the presentation. After selecting the document, the view mode will be activated on a computer. On the phone, you will see the slides and a switch button. The program has the laser pointer function. To use it, move your finger on the thumbnail of the slide. The projector will display the characteristic point. Click on the slide thumbnails icon at the top right. You will see a list of all your pages in the document. By clicking the desired, you will show it on the projector. Use the arrows to move to the next or previous slide. If the abovementioned functionality is not enough for you and you need to make adjustments and changes to your document from the phone, use the Unified Remote. We described how to configure and use it earlier. It will turn your smartphone into a mouse with the keyboard, and you will be able to use the Power Point fully, watching what is happening on the projector. That is all. As you can see, applications are very simple in setting and operation. We wish to show your presentation successfully.